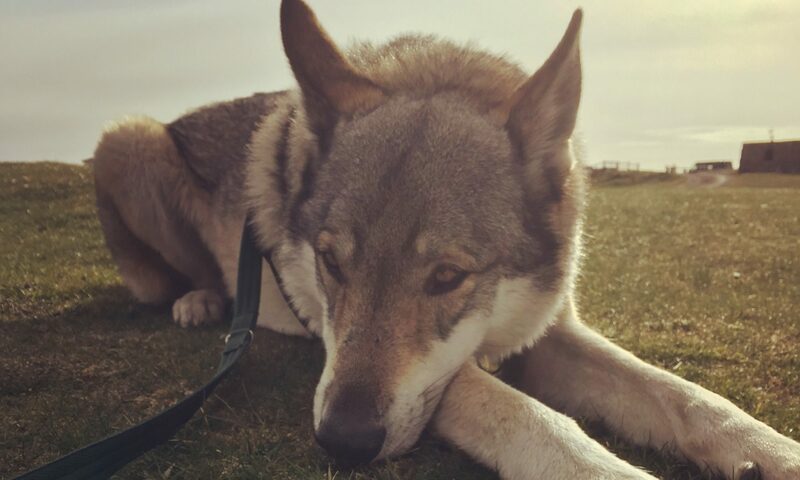 Zephyr is an ‘F3 hybrid’ Czechoslovakian Wolfdog, meaning that he is three generations away from a wolf. (His great-gran is a wolf). In the UK this is the closest generation to a wolf that you can own as a pet. Living with Zephyr brings a lot of challenges, but to me he is worth it. He is a pain in the bum, but I love him and we do most things together ❤ He is my best friend.